The Soft Touch fly is equally successful when used as a lure or as a nymph. Using a fast Sinking Line, and letting it settle, the fly will lift and either an intermittent pull will draw it down as a lure, or a steady, slow retrieve will give the impression of a nymph. It is best to tie the latter with olive marabou and green plastazote. Freddie Rice "Tying Trout Flies, Lures, Nymphs & Buzzers" 1993. Overlay : White plastazote, 3 mm thick. Hot Spot : Lime green. red or orange. 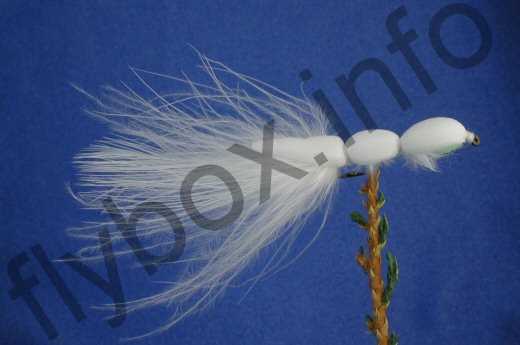 Currently there are no comments about the Soft Touch fly pattern from other fly fishermen yet.